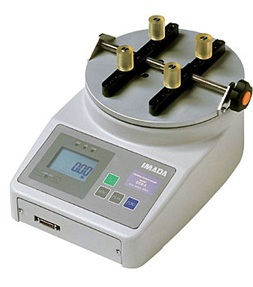 The IMADA DTX2 Series offers programmable high/low setpoints for go/no-go testing. ORANGE lights up for measurements less than Low setpoint, GREEN for between High and Low setpoint, and RED for over High setpoint. Store up to 1,000 values in memory, which can be transmitted using the serial output. Use the real time mode to display toque transients, or the peak mode to capture the peak toque achieved during a test. Selectable measurein units of lbf-in, kgf-cm, or N-cm. Overload capacity of 200% of F.S.